Potatoes as a main course? 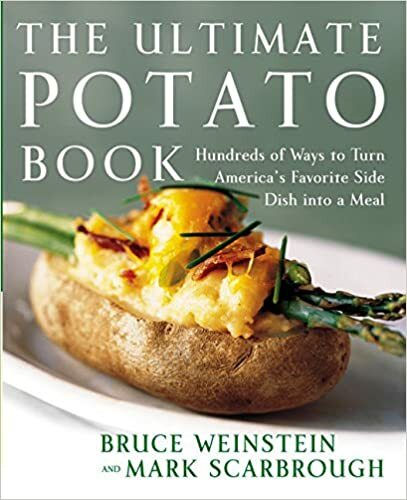 That's right, The Ultimate Potato Book moves the versatile potato to the center of every meal. Bruce Weinstein and Mark Scarbrough offer up main course classics such as Shepherd's Pie, Cod Cakes, and Chili Fries, along with some surprising new ideas - Lasagna (potatoes replace the noodles), Enchiladas, and Twice-Baked Potatoes with bacon, asparagus, and Cheddar.